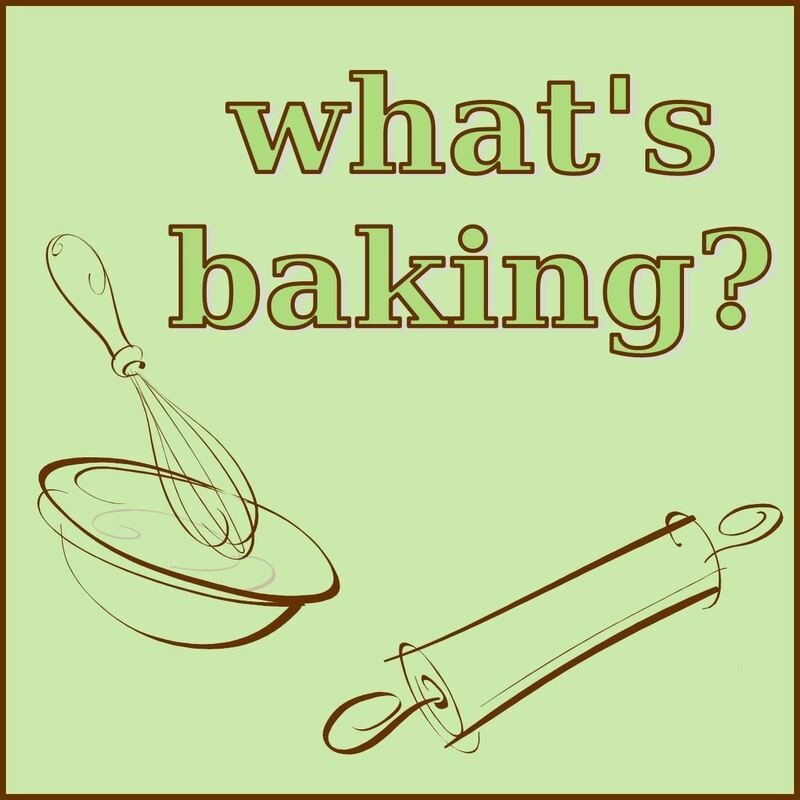 Our Italian Kitchen is the host of What’s Baking for the month of March! The theme she has chosen is Bake From Your Nationality/Heritage, which literally make me leap with joy! I knew immediately what I wanted to make. Hopefully some of you have popped over and read a little “About Me” or about my cooking roots in my first post, Coconut Drop Cookies. If not, very briefly, I am very proud of my French Canadian heritage. My Memere and Pepere (French for grandparents) are no longer with us, but they are in our hearts and memories and my Memere lives on through my cooking. This recipe is one of Memere’s pinnacle recipes. She served this only on Christmas Eve and maybe one other time a year, and it is one that evokes wonderful happy family memories! 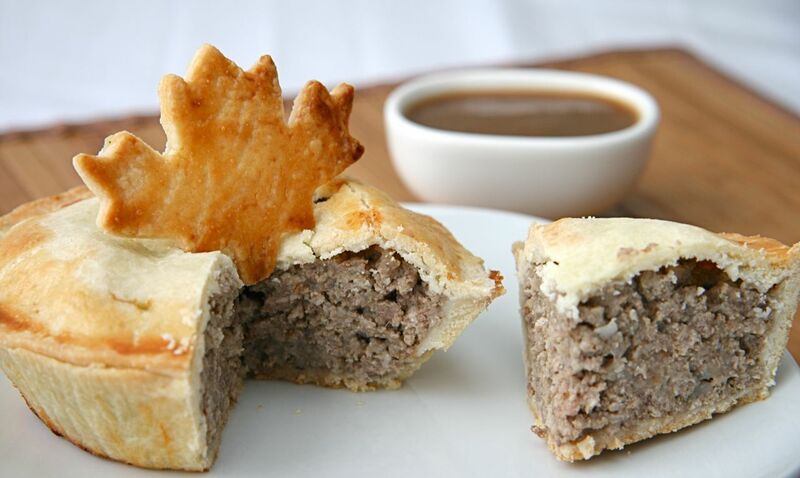 Tourtière is a traditional French-Canadian dish, originating apparently around 1611. Every family has its own “original” recipe, passed down through the generations, so depending on the region your family is from, your recipe will reflect that! Tourtière is served by generations of French-Canadian families throughout not only Canada, but also the bordering areas of the United States. 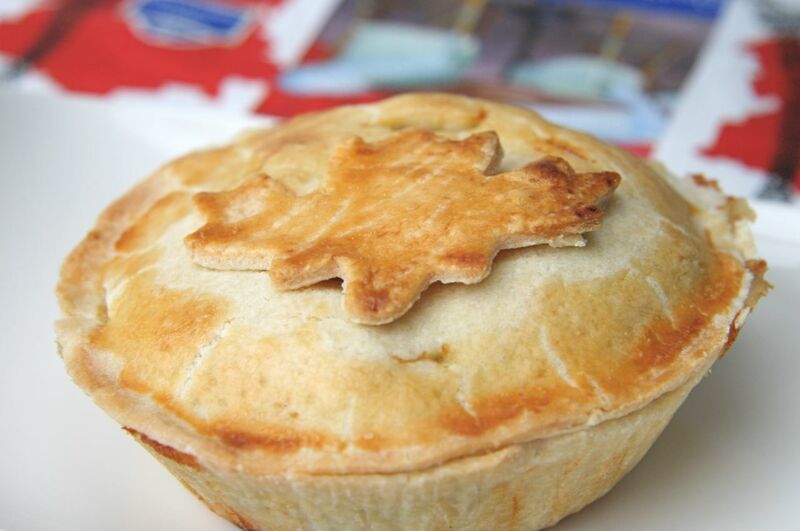 And, because I am a bit of a nerd, apparently tourtière got it’s name from the pie-pan used to cook it in, which was further named after the key ingredient, which was the cooked meat of the once abundant and now extinct passenger pigeon, the “Tourte” (Thanks Wikipedia!). Anyways, back to the recipe! Before this weekend, I had never made pie dough from scratch. Typically when I make this dish, which has only been a few times since my Aunt and/or Mom usually make it for the holidays, I buy pre-made dough from the grocery store! But, when this months What’s Baking challenge was announced, I knew I had to dig out my Memere’s recipe and attack the crust from scratch too. It was actually a cinch making the pie dough, especially with my KitchenAid mixer. This dish is actually fairly easy to make from start to finish, but tastes as though you spent hours making it (or maybe you did, because it took that long to decipher the fuzzily scanned and emailed 30 year old hand-written recipe!). The flavours of the dish are warm, welcoming and truly comforting. For me, just the smell of the meat mixture cooking, smells like family gatherings at home. I hope you give this French-Canadian specialty a try, I know you won’t be disappointed! Slice your butter into small 1-inch squares. Place in a bowl and keep in the fridge until ready to use. In a large bowl, place 1 cup of ice and fill with 2 cups of cold water. Set aside. Using a one-cup measuring cup, break in the egg and add the vinegar. Using the ice-cold water, add enough water to make 1 cup of liquid, including the egg and vinegar. Place the flour, salt, baking powder and brown sugar in your KitchenAid bowl, fitted with your wire whip. Mix to combine the ingredients. Turn on your KitchenAid mixer to a medium speed, remove butter from fridge and add to the flour mixture. Mix until butter is well integrated and only small clumps of butter/flour remain (no bigger than the size of a pea). Switch the wire whip to your flat beater. While still on a low speed, sprinkle the egg/water mixture into the flour mixture. Mix until flour mixture comes together and forms a loose ball when pressed in your hands. (Note – the mixture will not form a complete ball, but you should be able to form a ball that stays together). Do not knead the mixture and try to work as little as possible. Divide dough mixture into 12 pieces. Wrap each piece with plastic wrap and place in fridge to rest while you prepare the filling. Place all ingredients, except breadcrumbs, in a medium sized saucepan. Over medium heat, bring the mixture to a rolling boil. Reduce to a simmer and allow mixture to cook, uncovered, for 25 minutes, stirring occasionally. Remove from heat and add 1/4 cup of breadcrumbs. Stir well. Let stand for 10 minutes. If mixture is still quite wet, add in more breadcrumbs, 1 tablespoon at a time, until the mixture is still moist but not drippy. Set aside to cool while you roll-out pastry dough. Sprinkle a clean working surface with flour. Place one of the disks of dough in the center of the surface and working outwards, using your rolling pin, roll the dough into approximately a 5 inch circle. Flip the dough occasionally as you roll it out, to get an even circle. Place the rolled out dough into the tinfoil pie pan. Gently push the dough into the corners and bottom of the pan. If needed, trim the edges. Repeat with 3 additional bottom crusts. Fill the pie crusts with tourtiere filling and brush the edges of the crust with egg wash. Roll out the 4 additional pieces of pie dough, using the instructions above. Drape over the filled bottom crusts. Trim the edges to the same size as the bottom crusts and fold the edges together to form a clean edge. You can crimp or scallop the edges to your liking. Cut three or four slices in the top of the crusts to vent the tourtiere. You can do simple slices or be creative and do some decorative holes! Using the egg wash mixture, brush the top of the pie crust. Place on a baking sheet and bake for 25 minutes, or until dough is golden brown and mixture is steaming. Serve with a homemade gravy [CH: I pour mine on top, through the vents, but not too much is needed], mashed potatoes and some green beans! One final note, these can be made ahead and frozen. Simply prepare until you reach the baking step, double wrap the tourtiere in plastic wrap, one final wrap in tinfoil and then freeze. When ready to bake, remove from freezer the morning you plan to bake it, and continue as planned. These pies were so adorable! I love the maple leaf toppers!! Glad you appreciate your heritage so much! I’m so excited you posted these! I recently discovered tourtiere last fall and it was SO delicious. I’m definitely making these soon! Thanks so much Catherine! I am thrilled to hear you made them and that your DH loved them so much!